From the steps of the Orangery east to Lovers’ Lane Pool, the hillside drops fifty-five feet in elevation to the site of a former natural pond. Farrand designed Lovers’ Lane Pool and its amphitheater of about fifty seats, which she modeled after the theater at the Accademia degli Arcadi Bosco Parrasio in Rome, the home of the literary society of the Arcadians. 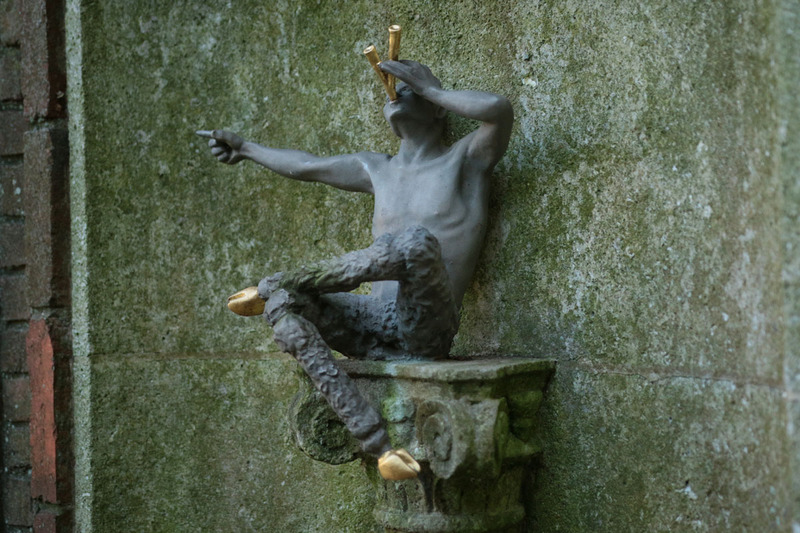 On the top tier of the theater is a lead statue of a pipe-playing Pan, perhaps chosen by Farrand because of his association with Arcadia and wild places. Farrand designed the surrounding baroque cast-stone columns, connected with trellis, to be covered by deciduous and evergreen vines. She recommended kudzu as the cover for the eastern trellis where even greater screening was desired. 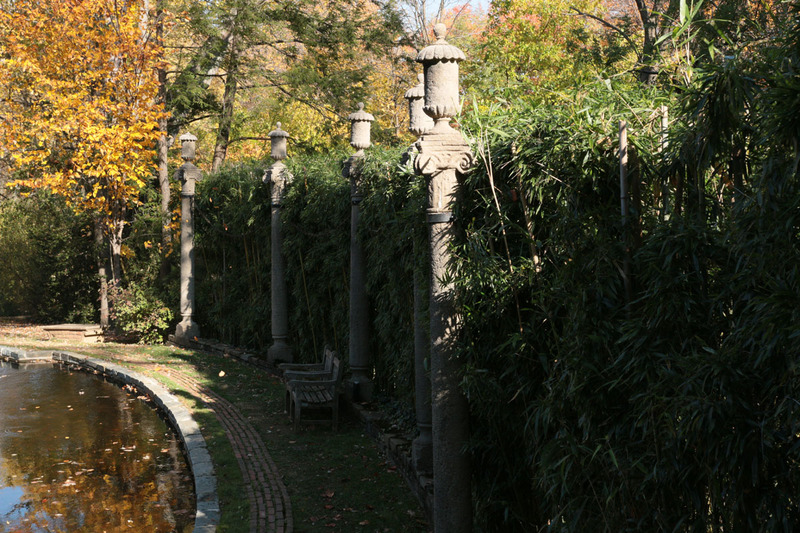 As a further screen between the columns and Lovers’ Lane, she planted two species of bamboo, Phyllostachys nigra and Arundinaria japonica, which are clipped once a year to a height even with the tops of the columns. Columns with urns (fifteen), cast stone, Beatrix Farrand, ca. 1928–29. Pan sculpture, parcelgilt bronze, Francis Minturn Sedgwick after Beatrix Farrand, ca. 1960.